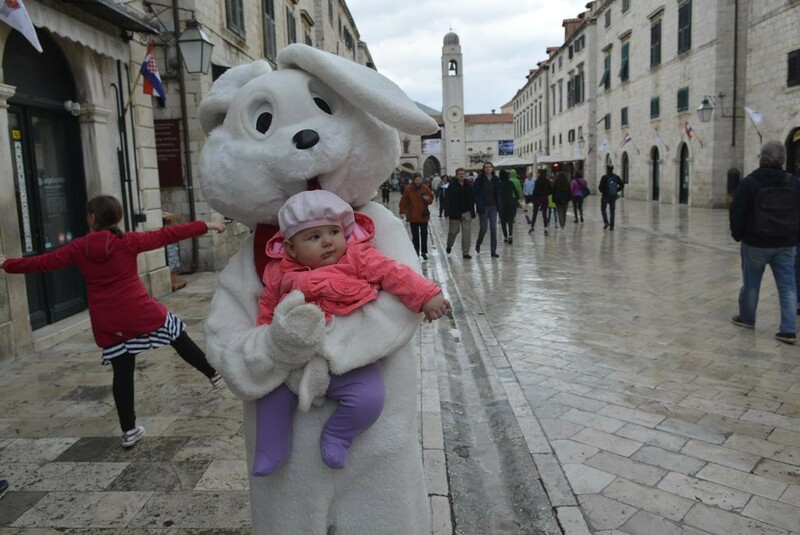 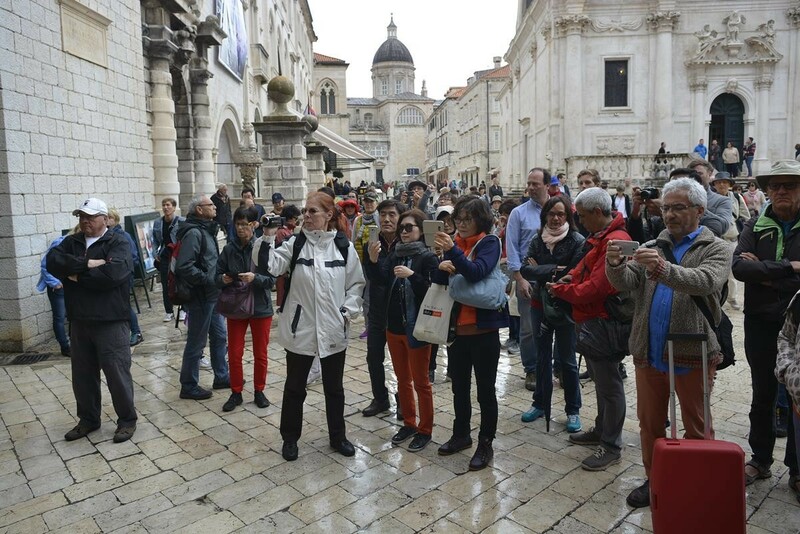 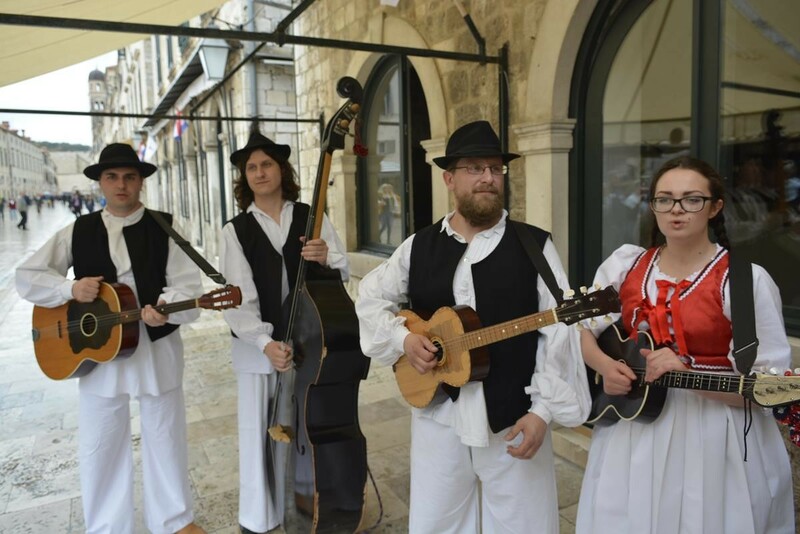 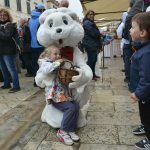 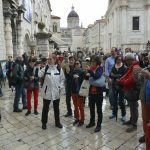 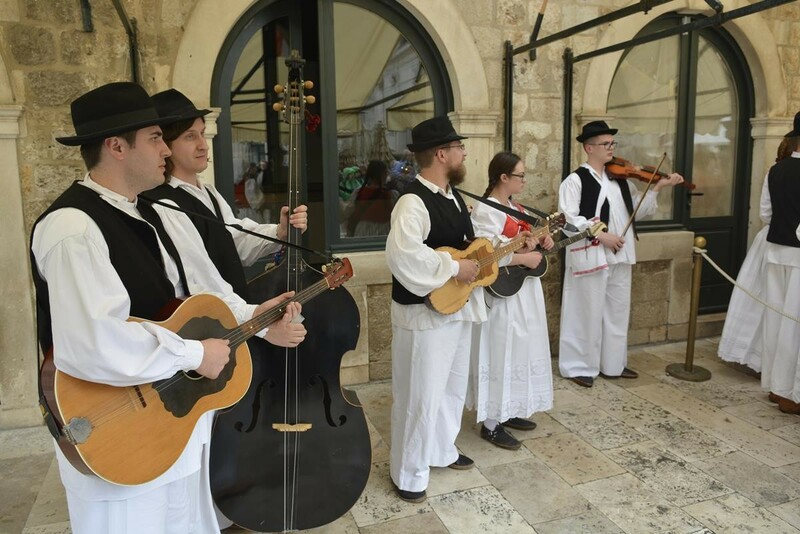 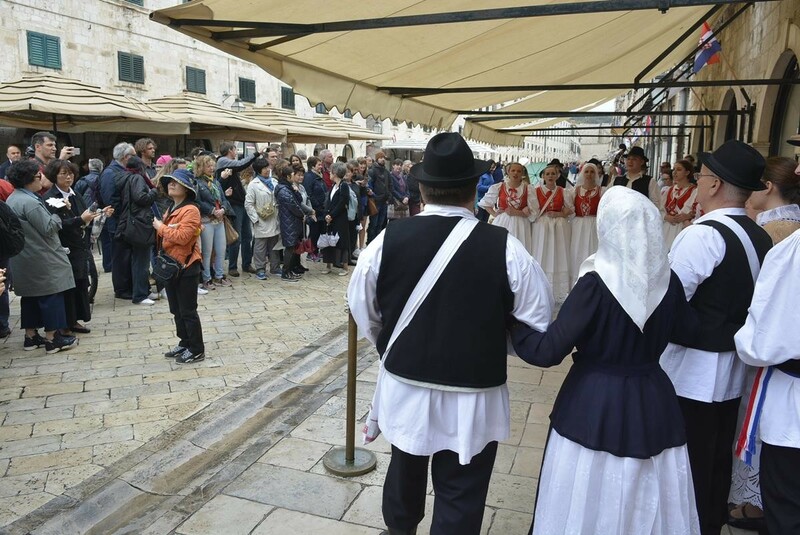 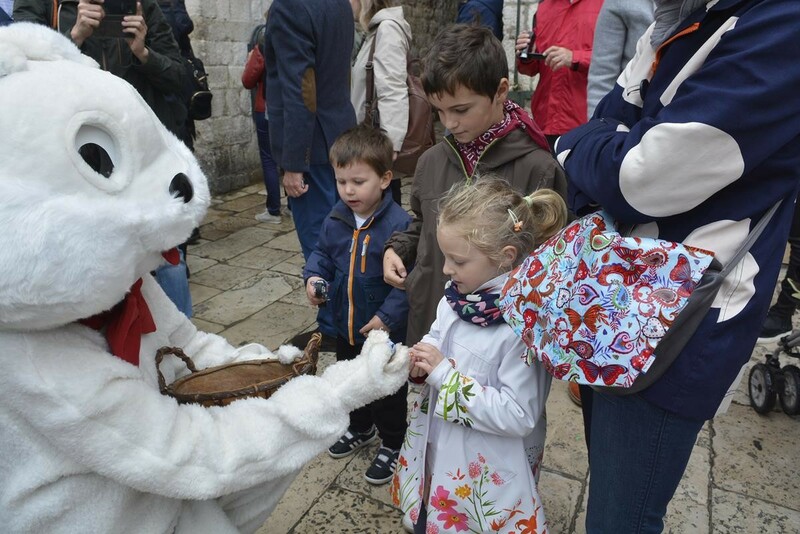 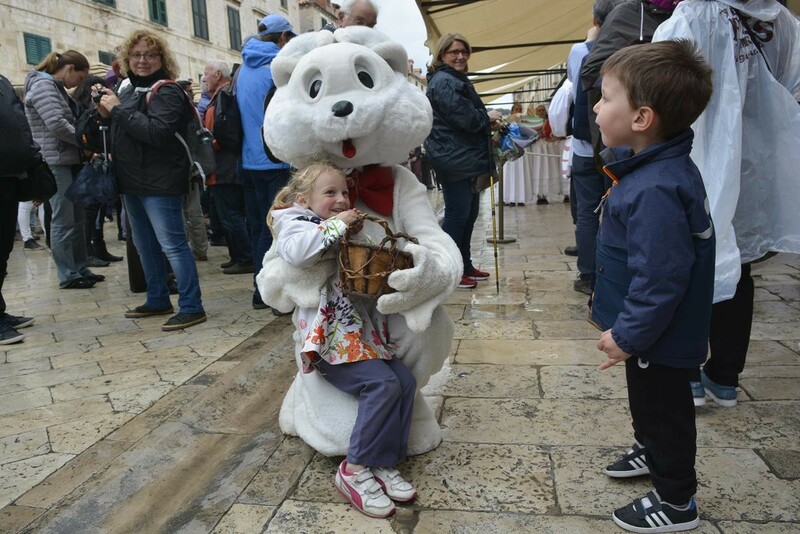 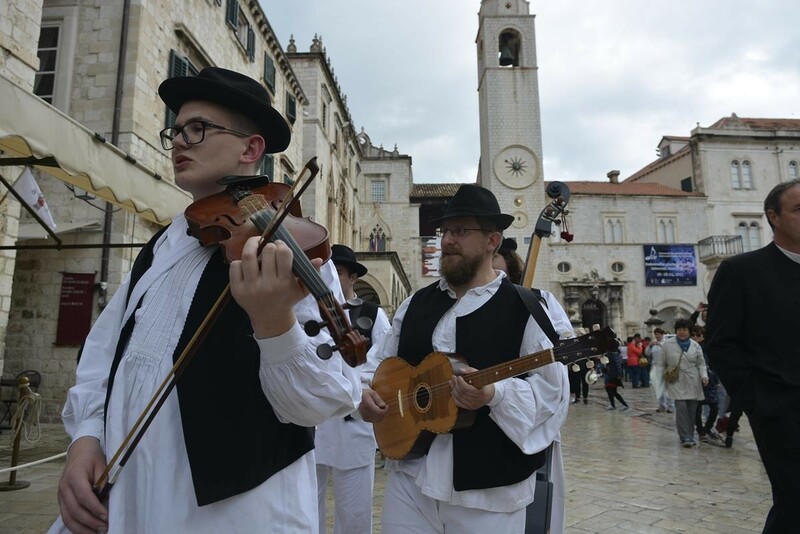 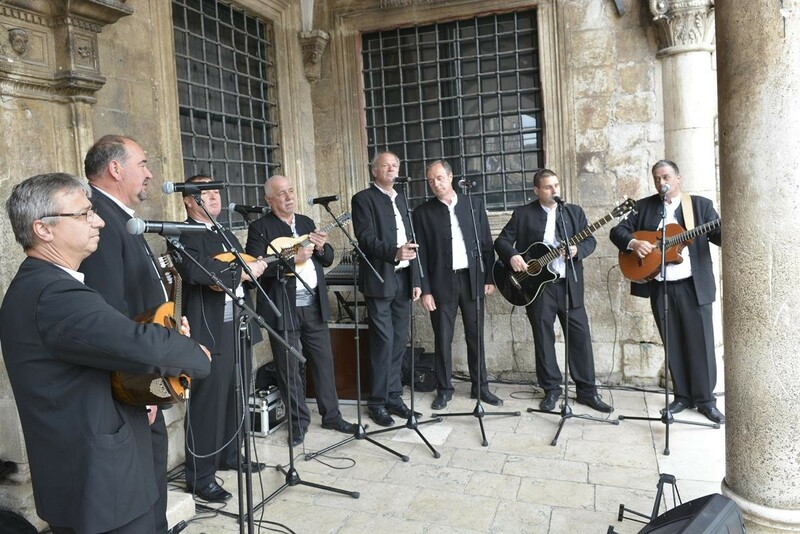 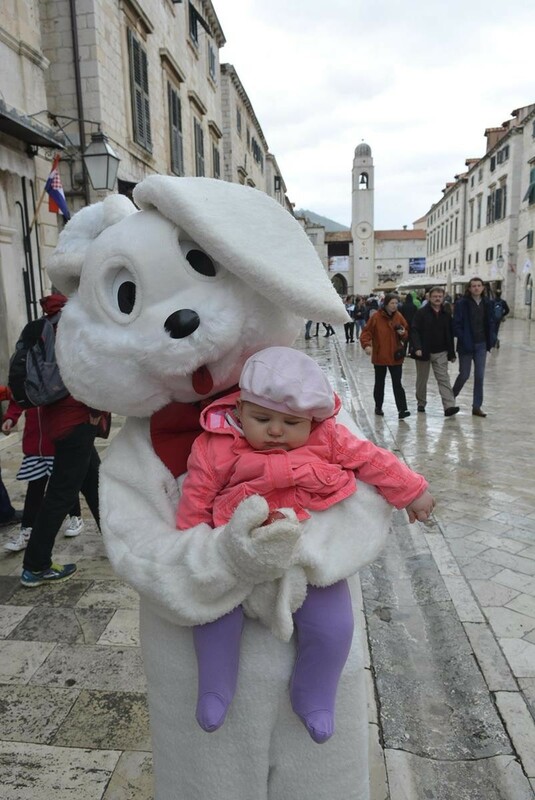 Despite the rain, today we celebrated Easter on Stradun in a traditional way, combined with modern customs! 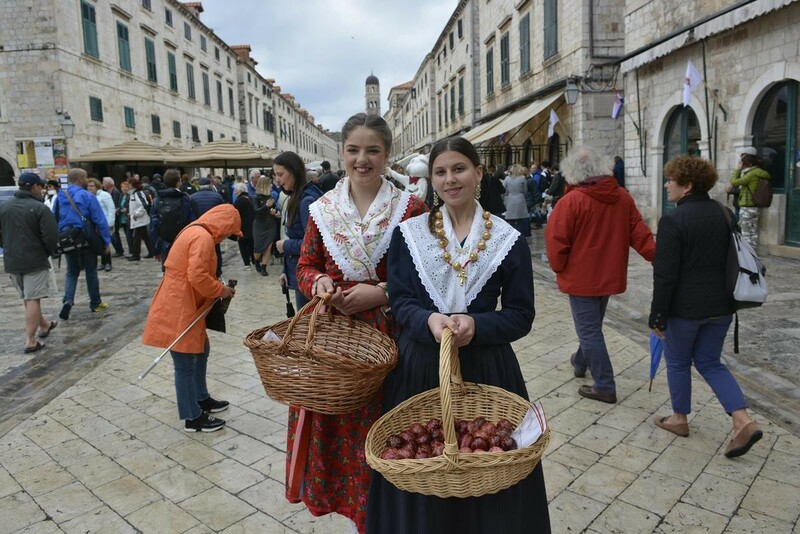 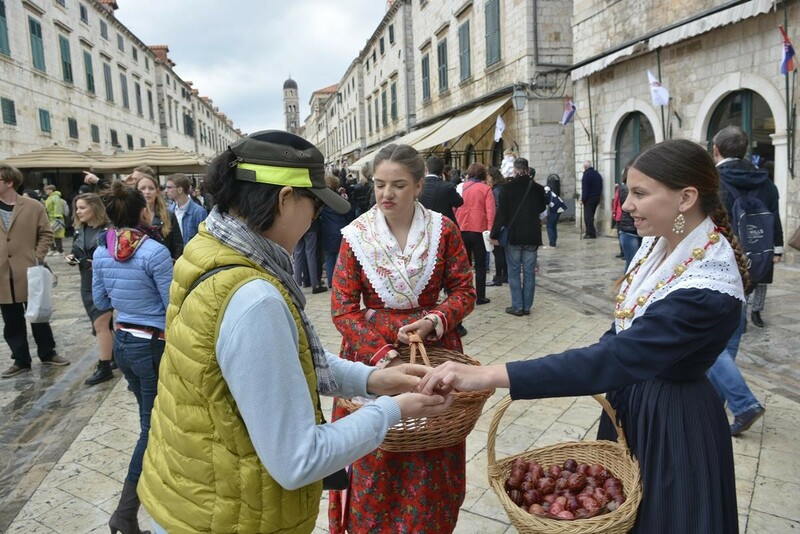 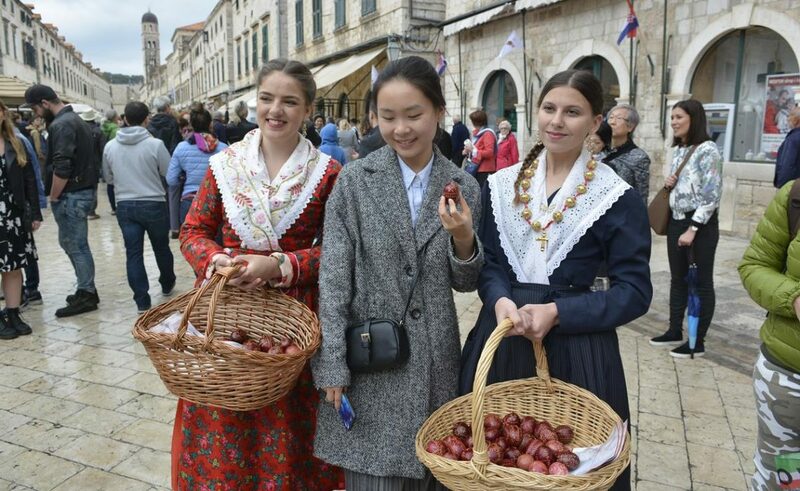 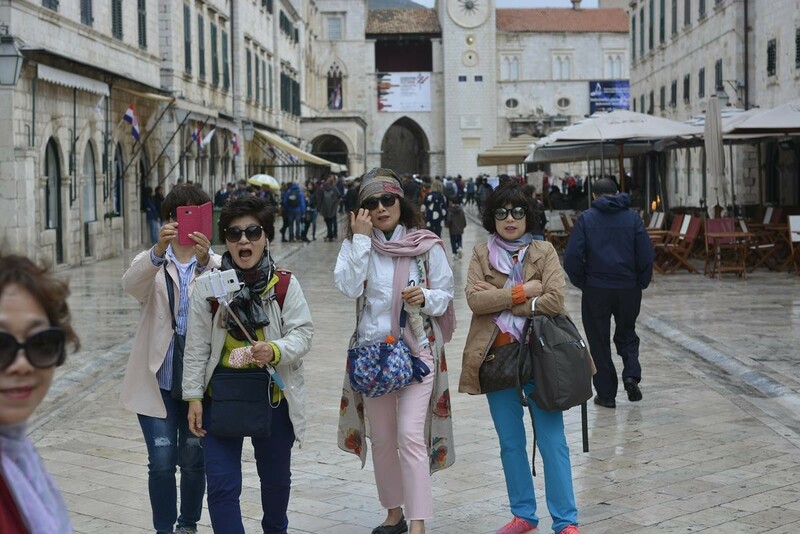 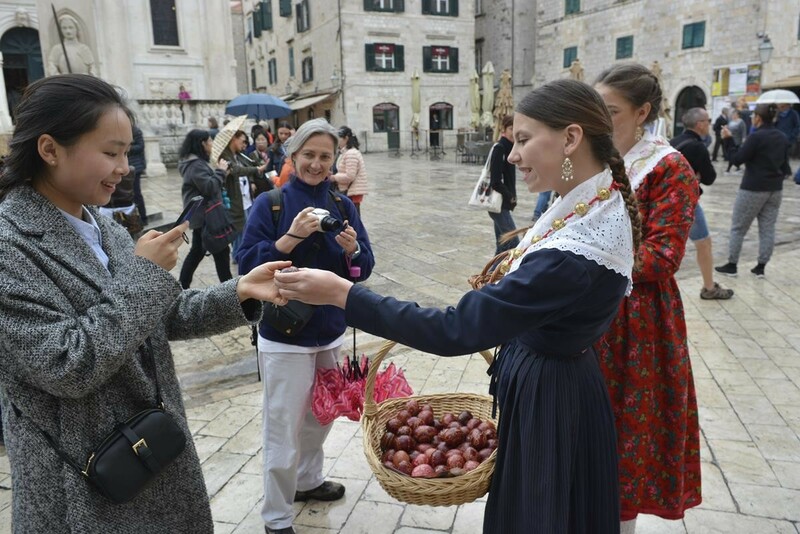 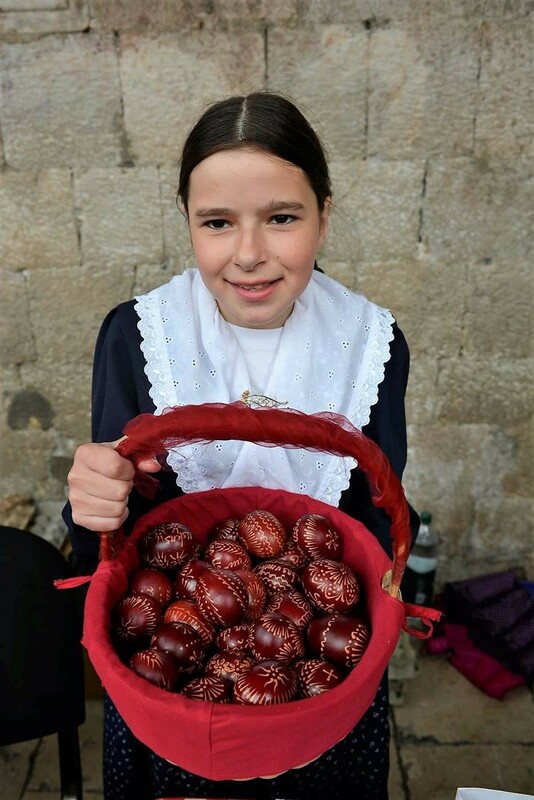 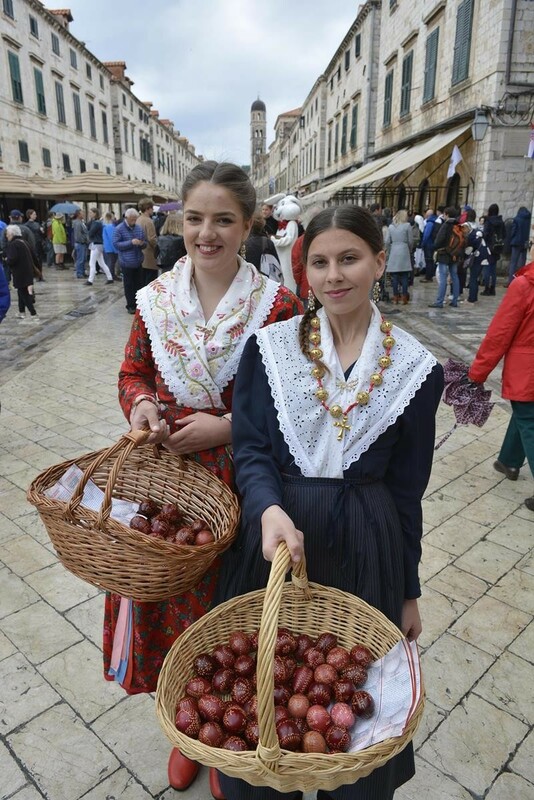 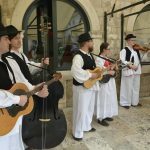 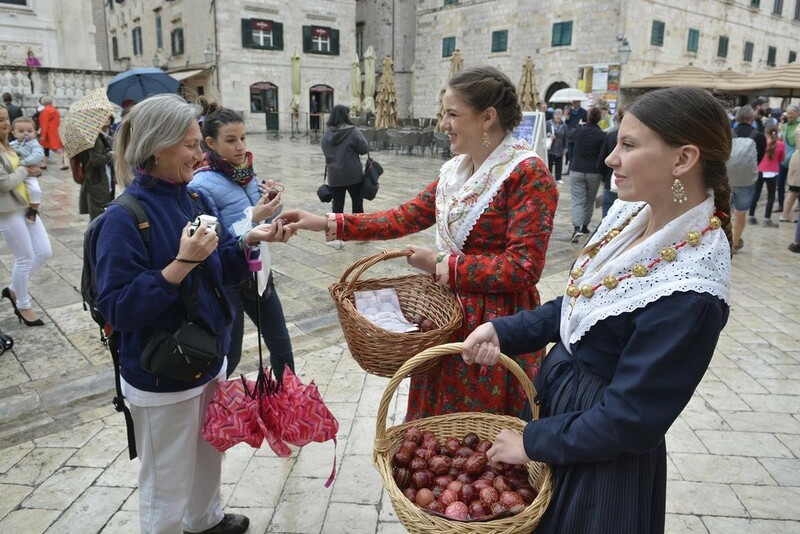 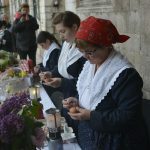 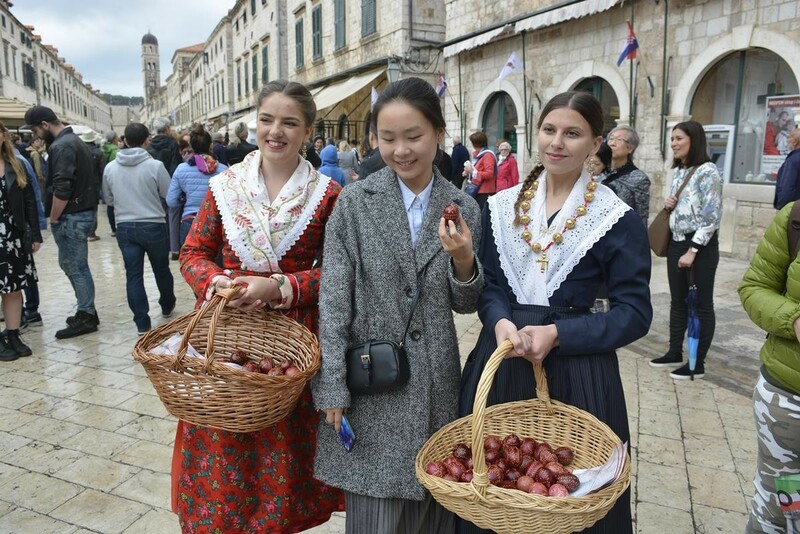 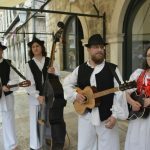 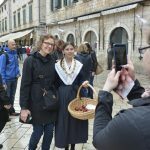 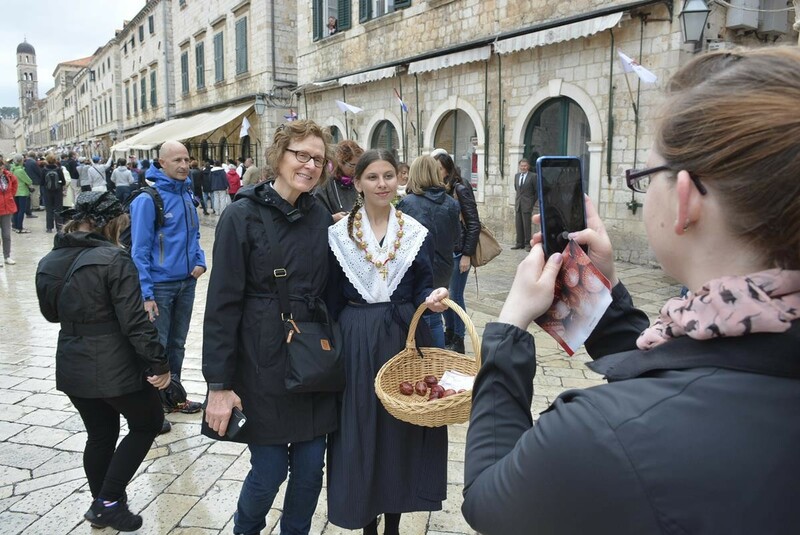 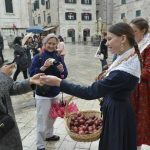 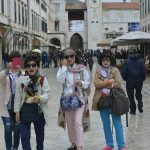 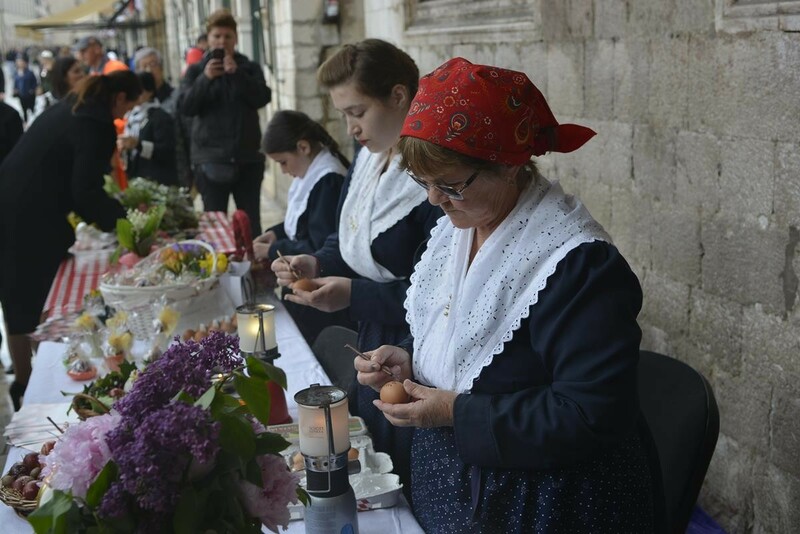 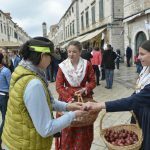 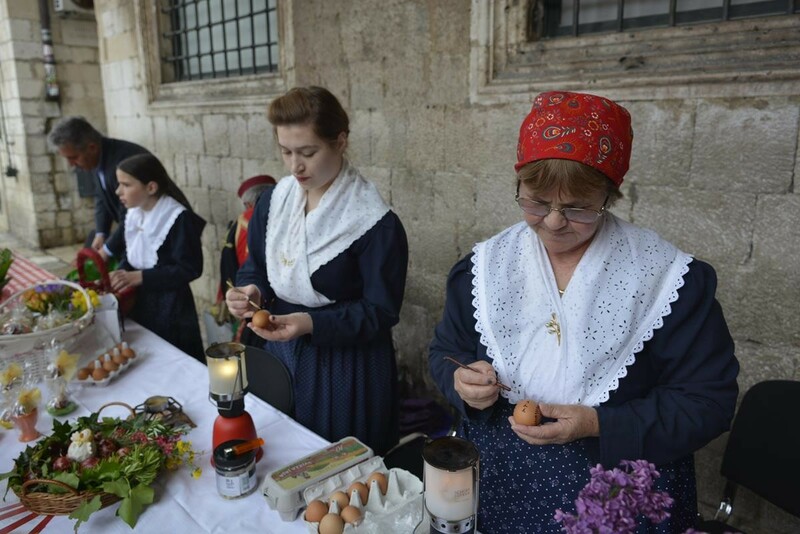 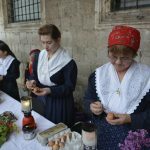 Lovely girls dressed in our ‘nošnja’ were giving the eggs painted traditionally (‘pengana jaja) to all the visitors of Dubrovnik. 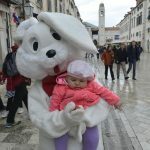 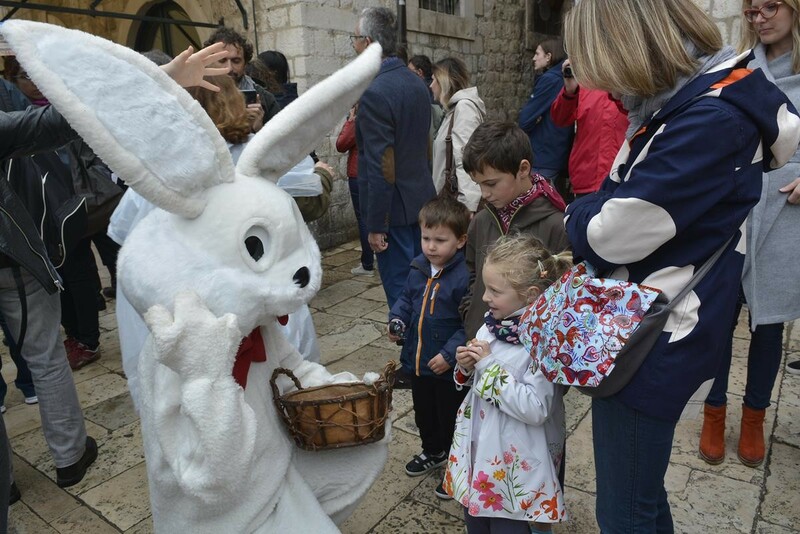 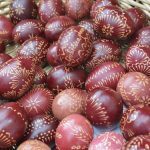 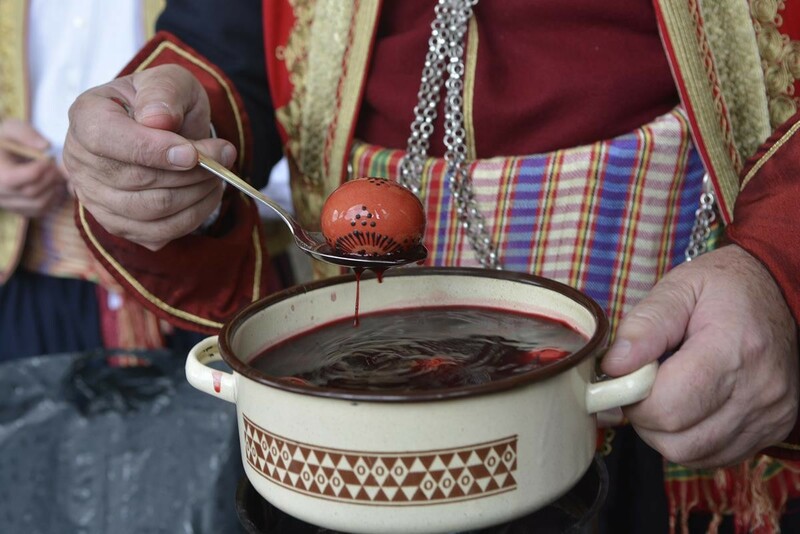 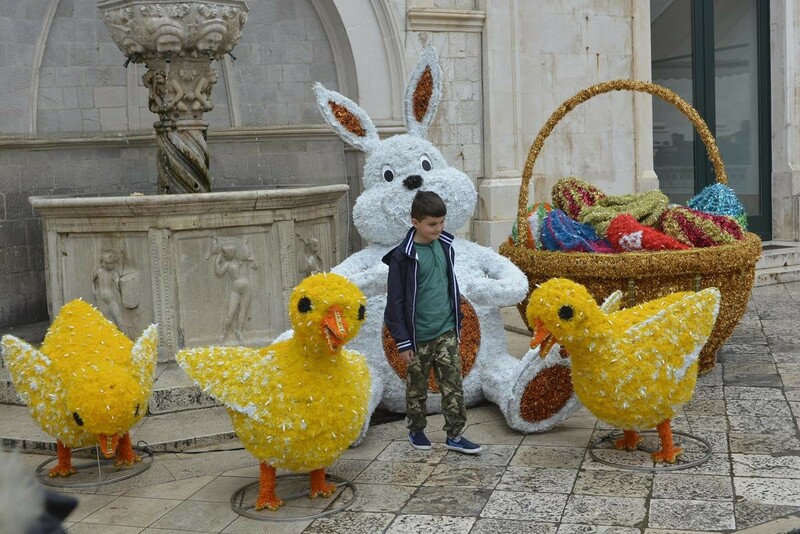 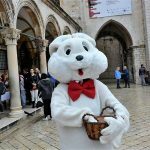 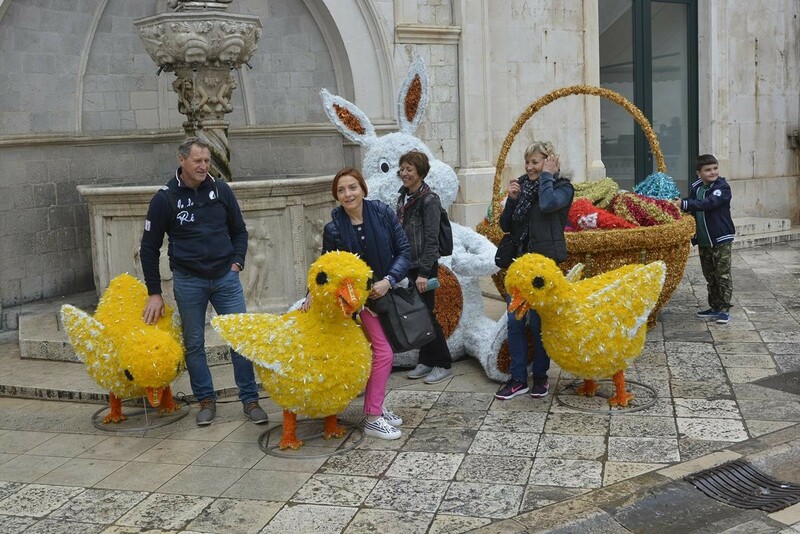 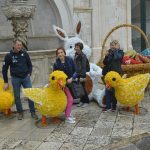 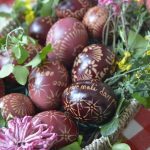 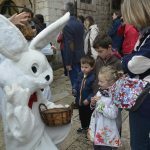 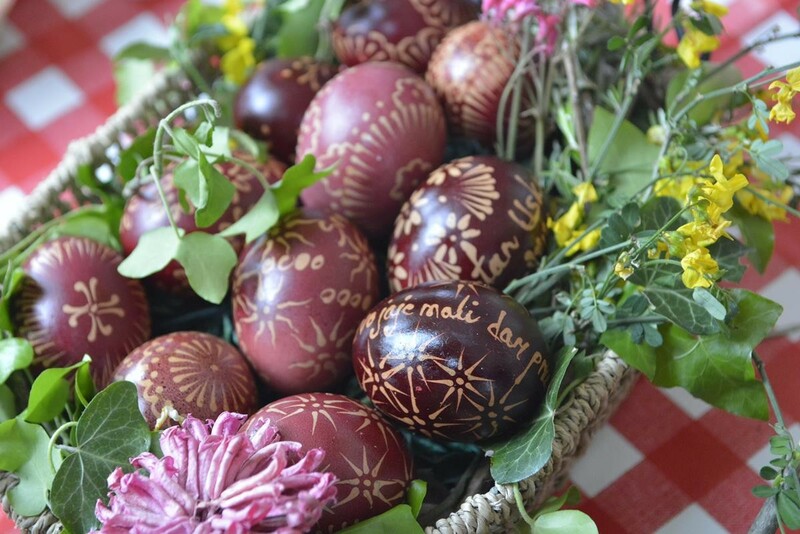 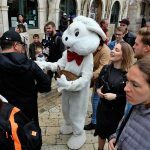 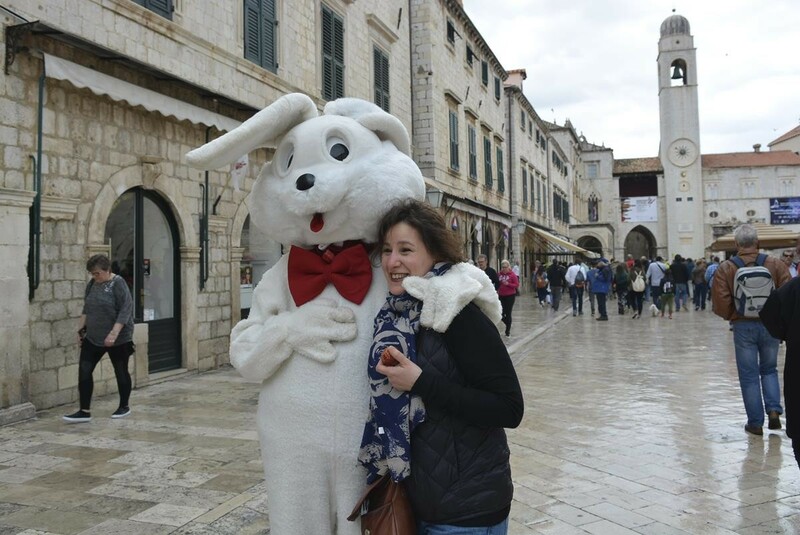 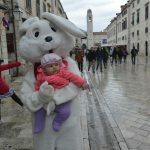 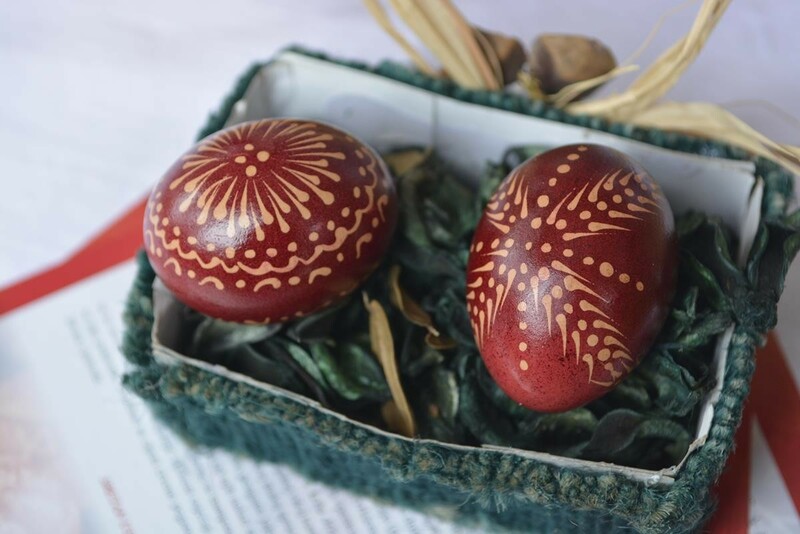 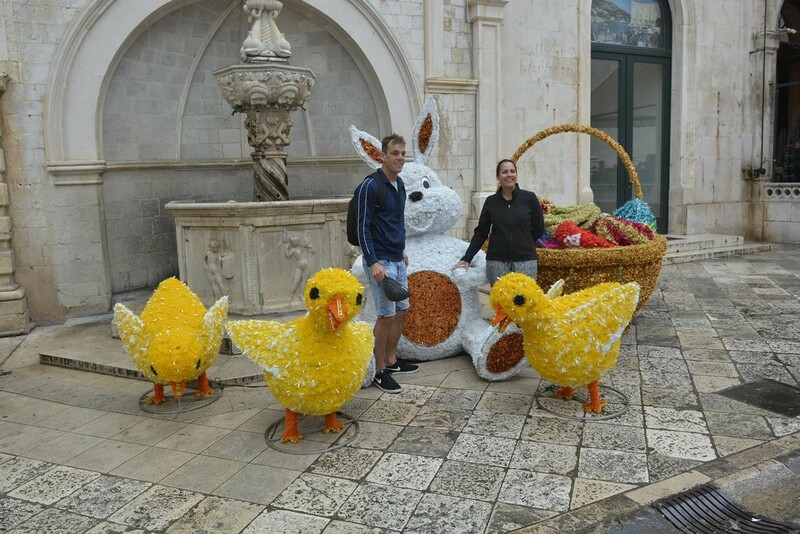 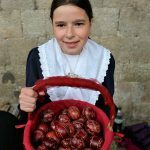 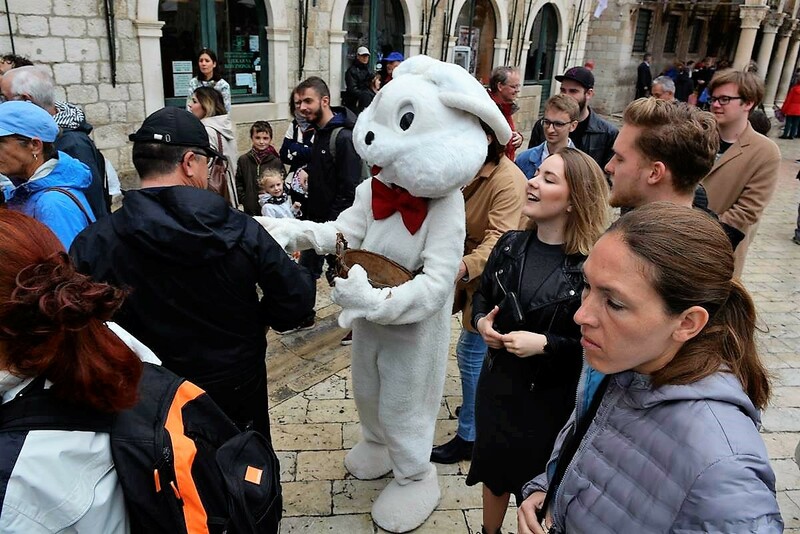 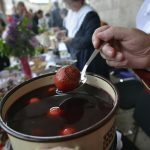 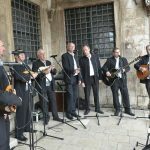 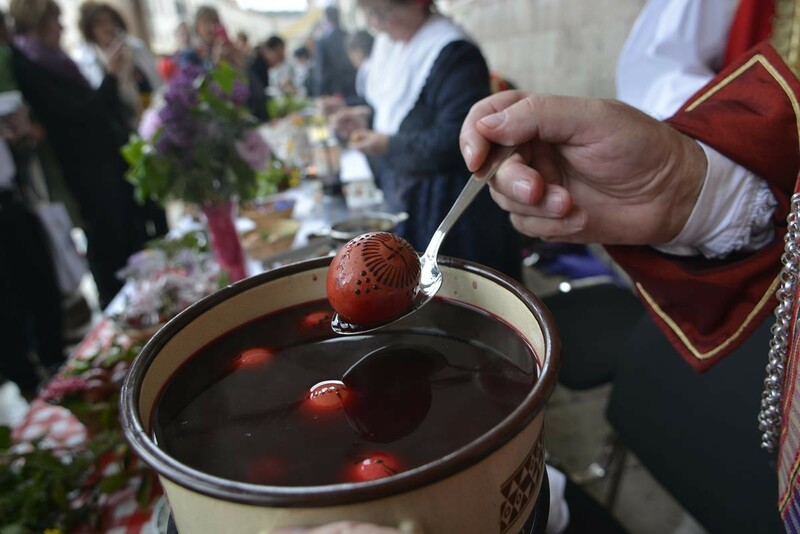 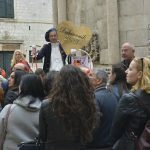 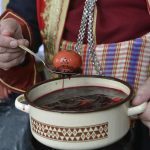 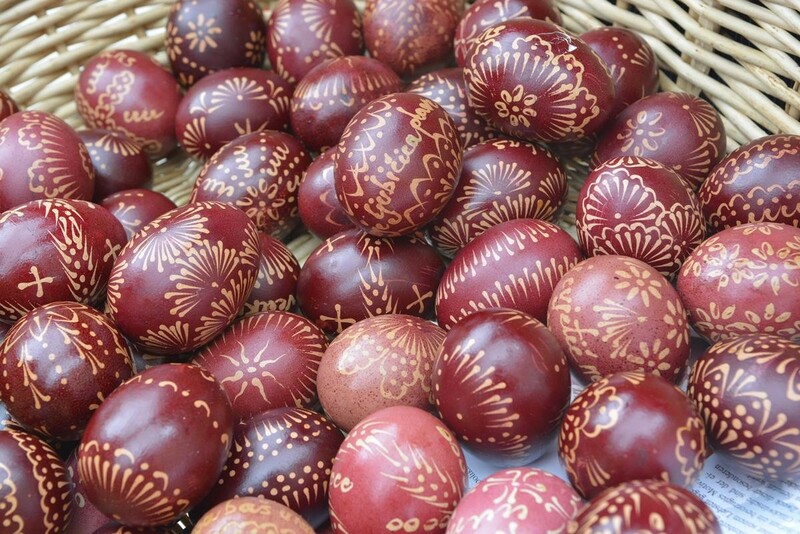 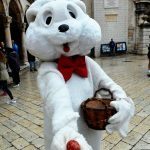 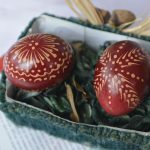 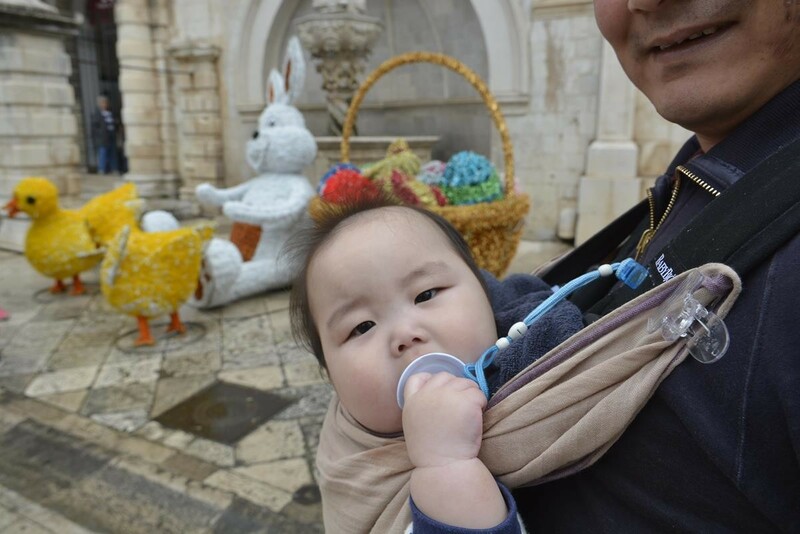 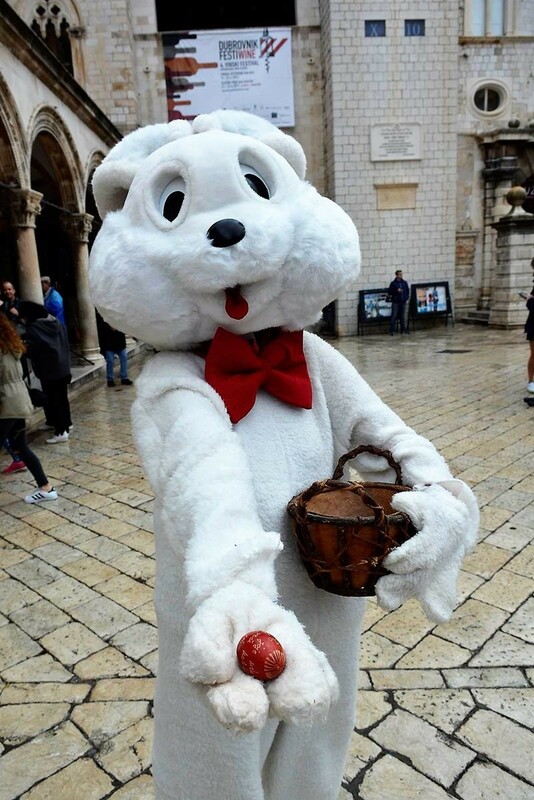 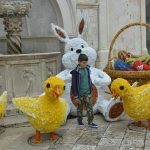 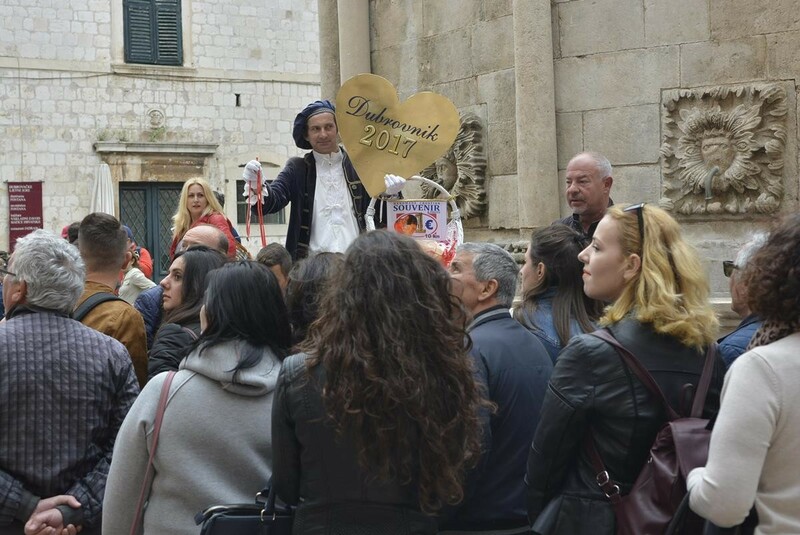 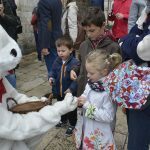 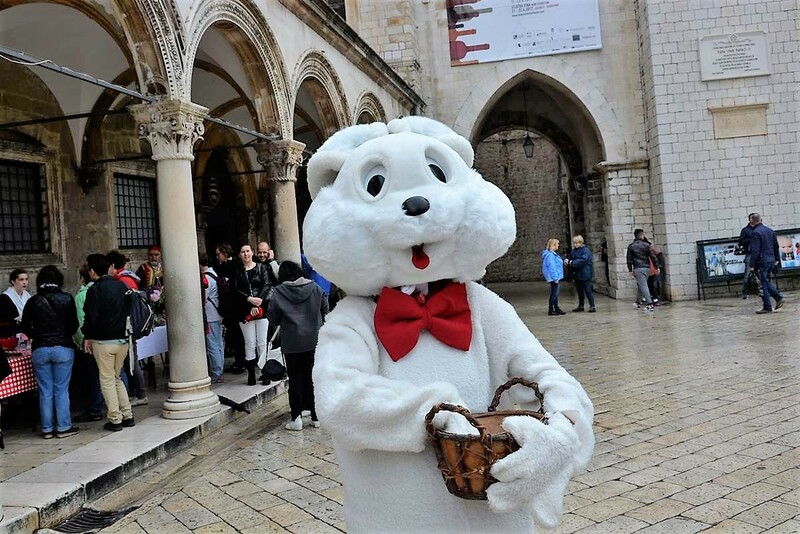 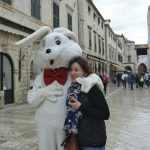 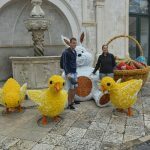 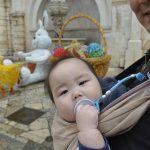 One could enjoy the centuries old way of painting the Easter eggs, shown by Dubrovački primorski svatovi, and the ones who wanted something more modern, there was one cool guy on Stradun – Easter Bunny himself!